My name is Eric and I live in Aurora, IL. I’ve been brewing since early 2012. I started on a MR Beer kit, then my brother Kevin gave me a full sized setup. I started all grain late in 2013, and have loved every minute of my longer brew days. 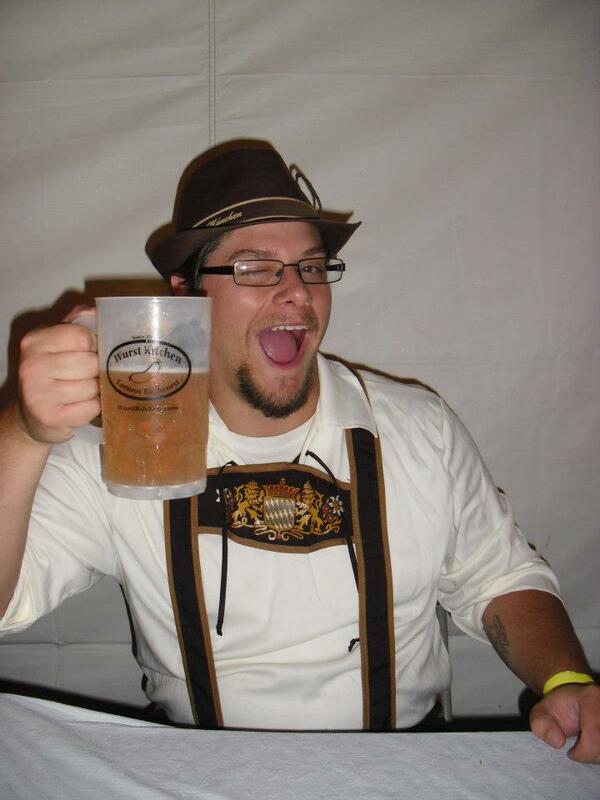 Beer is one of my passions, I love to drink it, talk about it, read about it, and so I decided to write about it too! Couple things you’ll notice about this blog. Sharks….Sharks Everywhere! Sharks are my favorite animal. I’ve been obsessed with them since I was a kid. 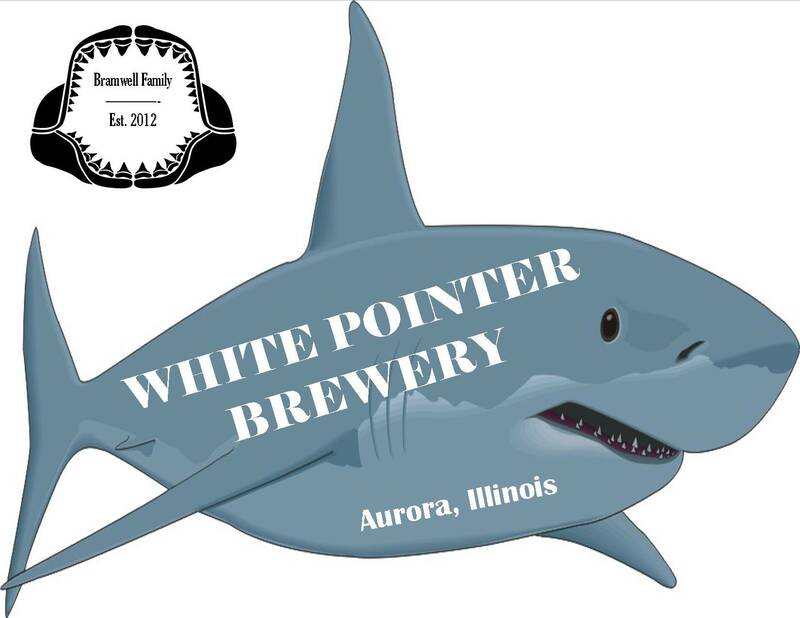 So I felt that I should name my brewery something shark related. White Pointer is a nickname for a Great White for those who don’t know, which is probably most of you with a life. Most of my beers are somewhat sharkily named, though not all. Secondly, I love hoppy brews, so many of these posts will be hoppy American styles, though I do try to mix it up. Another thing, while I was pretty good in my English and writing classes, I’m not a “professional blogger” if such a thing really exists, nor am I really a writer. Please forgive the grammar errors that are sure to be everywhere! I write crime reports at my day job which doesn’t really leave a lot of room for colorful and artistic descriptions. Bare with me as I attempt to poetically describe the flavor nuances of my beer. So here’s a bit about my brewery. My typical batch is 5.5 gallons, but I do some smaller batches every now and then. I do the brew in a bag technique with a batch sparge. My boil kettle is 10 gal, my sparge kettle is 8. I also have a temp controlled fridge to serve as a fermentation/lagering chamber. As of April, 2015, I finally started kegging some of my batches! Eric – Just came across your blog and have enjoyed reading so far. I recently started BIAB brewing and was curious regarding your “batch sparge” process. I follow the basic mash-in calculations (i.e., water volume and temp needed to hit your desired mash profile). However, to mash out, I wasn’t clear if you simply add additional hot water to your boil kettle before removing the grains? Or, do you move the grain bag to a separate kettle to sparge and then combine before boiling? Thanks! I have an 8 gallon kettle that I use as a mash tun. I calculate normal mash volumes and use my grain bag. After my mash is complete, I remove the bag and let it drain for a bit. I have a 10 gallon kettle that contains my sparge water. I then place the grain bag in the “sparge” kettle and give it a good stir. I let that sit for 10 or 15 minutes and then remove the bag and drain it again. I then pour the wort from the mash into the 10 gallon kettle with my “sparge wort” to get my full volume and boil as normal. I find this works pretty well for me, I typically get somewhere around 75% efficiency depending on my grain bill. I’ve never done a mash out at 170 in the mash tun, It seems to me that my version of sparging is pretty much the same, and I’m happy where my efficiency is. I’m not sure that this is the best way to do things, but its worked well for me with the equipment I have, and I can’t complain about the final product! If there’s anything else I can elaborate on about my process just let me know! Thanks for the reply–all makes sense. My initial experimentation with BIAB involved mashing with almost the entire volume of water, which some reserved to raise the temp at the end. This seems like a simple way to keep a more traditional mash and sparge, so I’ll give it a try next time.